The Birch Ply House is a magnificent attempt to craft a home with a great sense of rootedness and timeless appeal from a material palette that is simple and limited with a studious avoidance of all forms of artifice. 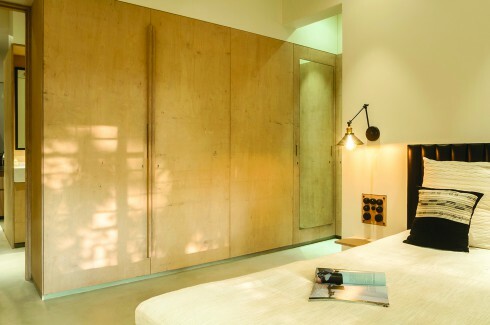 In its raw, exposed form, birch ply is almost obsessively used for every conceivable element of the home including the doors, window shutters, fixed furniture items, partitions and storage units. His minimalistic approach which eliminated any obfuscation in design has resulted in a home with a definite character of its own. Minimalistic and charming, the Birch Ply House in Mumbai, combines a limited material palette of soothing beige birch ply wood and grey concrete floors. 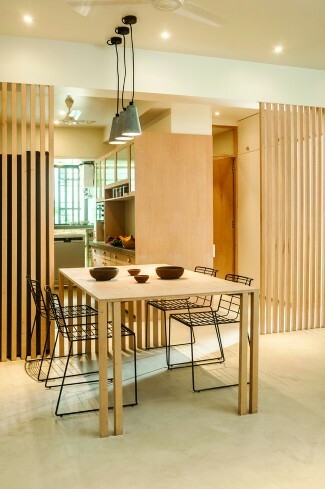 Lalan explains, “The Birch Ply House takes a conscious step to form an abode of calm and restraint through an extreme paring down of the palette to a few basic materials.”He cites two reasons for this approach – the first is that the apartment is a small two-bedroom one, measuring a mere 800 sq ft. So, the minimalistic template worked in its favour by making the space appear expansive. The second is an attempt to keep away from adding components that are frame-worthy, but really quite fake. To execute this vision, Lalan used only two key materials in the apartment. The first one, after which the house takes its name, is the birch ply wood. In its raw, exposed form, it is almost obsessively used for every conceivable element of the home from the door and window shutters to the jambs and handles, fixed furniture items, partitions and storage units to screens, table tops, drawers and beds. Located on the first floor, the apartment allows a generous view to the foliage outside, welcoming the greens to be a part of its charm. But, why birch ply? “Birch ply with its warm beige colour has a calming effect. Moreover, it’s not heavy on the eyes,” says Lalan. From a durability perspective, the birch ply works well with a sealing coat of clear matte oil. The oil has been applied on high-moisture areas such as the windows and bathrooms. In terms of cost, too, the birch ply is a better alternative to the more expensive teak wood. Lalan explains the Japanese inspiration for his apartment, “Projects in Japan use birch ply and warm colours. In a way, the house is inspired by the Japanese trend of using minimal materials.” It works wonders in the way the house, trimmed of ostentation, looks like a single entity as each element appears to be an extension of its neighbour. The master bedroom, styled unconventionally with a platform bed, has multiple seating levels, making this an ideal hangout space. This sense of fluidity also continues in the other material used significantly in the apartment – the grey concrete floor. Used throughout the apartment, it provides an organic flow from one room to another.In both material choices, Lalan has stuck to a matt finish with the ruggedness of the concrete contrasting the soothing beige of the birch. The only other layer in the apartment is the white backdrop of the walls and ceilings. This, again, exudes an understated appearance. Another architectural challenge in this Mumbai apartment was the small area, a factor that manifests in several design choices. For example, Lalan altered the configuration of the house breaking down almost all inner walls, except one. The public spaces – the living, dining and kitchen – have an open design with walls replaced by partition screens (again made of birch ply). 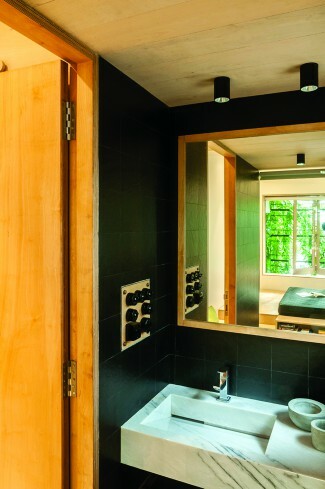 Just like the monolithic marble washbasin that was handcrafted, most of the accessories in the residence were created in-house by Mahek Lalan and his team at SML Architects. The L-shaped fold-and-slide windows in the living room, whose frames get neatly tucked, in a manner of vanishing into the walls, are an excellent example of intelligent space design. Also, in the central utility and storage space, wardrobes substitute walls, playing the latter’s role as a boundary. Even the 6-inch wall thickness area is put to better use with storage! The accessories, too, are in line with the minimalistic theme, yet adding moments of visual diversity. The simple, sleek wireframe chairs in the dining room catch our attention, in particular. “We sourced these chairs as I wanted something that we can look through, something transparent and light on the eyes. 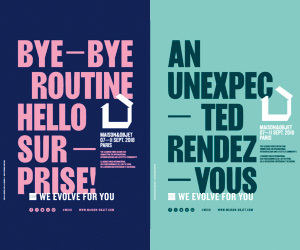 They even have a low back-height,” explains Lalan. 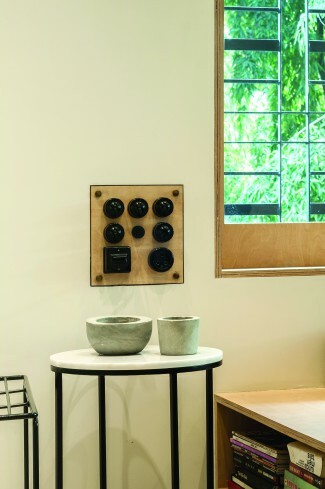 The hanging light fixtures cast in concrete, the specially sourced vintage toggle light switches against a birch ply board and the monolithic marble wash basin, all produced in-house, exist harmoniously with the palette. While a couple of colourful art pieces stand out, the rugs in the bedrooms stay subdued. Lalan says, “Overall, we’ve used a light colour scheme with natural colours: grey for the floor, beige for the birch, white for walls and ceilings, and black for other accessories such as the couch, switches and chairs. There are also plants placed in each of the rooms for a bit of green. These are the natural colours we wanted.” A gentle counterpoint to normative trends of residential interior design, the Birch Ply House is proof that innate simplicity will always win over exaggerated pretentiousness.